BAGUIO CITY – Mayor Mauricio G. Domogan urged officials of the newly created Traffic and Transportation Management Division (TTMD) of the City Engineering Office (CEO) to effectively and efficiently perform their assigned duties and responsibilities considering the enormous task lodged upon the said office, especially in dealing with issues and concerns on how to address the city’s traffic woes. The local chief executive said that the CEO division will definitely help in crafting short-, medium-, and long-term solutions in addressing the city’s traffic woes which continues to be a major problem of stakeholders. The CEO’s TTMD is composed of some 49 personnel that includes its division chief and 46 casual traffic aides who will be assigned to perform various tasks to help and extend assistance to the personnel of the Baguio City Police Office (BCPO) in addressing the city’s traffic issues and concerns. One of the tasks assigned to the newly created division is the preparation of the required local public transport route plan to improve the operation of the city’s public transport system to cater to the transport requirements of residents living in the city’s 128 barangays. Domogan underscored the creation of the new CEO division is pursuant to the clamor of stakeholders to hire traffic and transportation experts who will craft the policies to be enforced and the programs to be implemented in improving the traffic situation in the city, particularly in the central business district area. 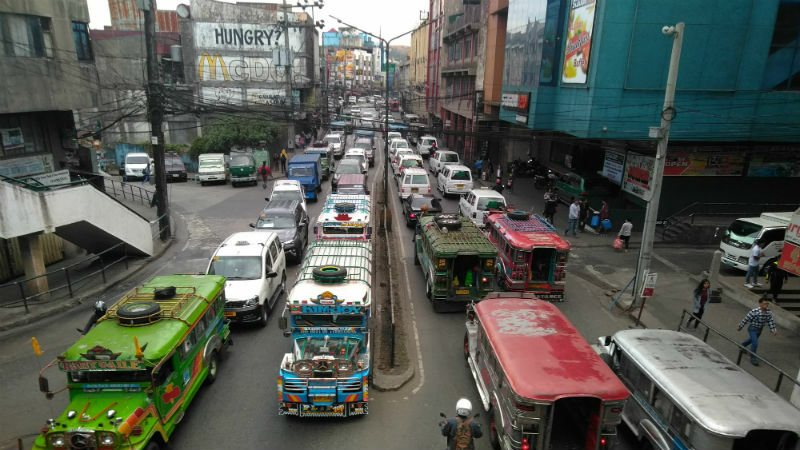 According to him, there were earlier efforts done by the local government and the BCPO on how to address the worsening traffic condition around the city but the rapid increase in the number of motor vehicles in the city has contributed in the current congestions around the central business district area. Based on data obtained from the Land Transportation Office (LTO) in Baguio, more than 57,000 motor vehicles have been registered in Baguio city as of the end of last year compared to the over 44,000 registered vehicles in the city the previous year. Domogan urged traffic and transportation management experts to closely coordinate with the newly created CEO division in the crafting and formulation of appropriate solutions to address the city’s traffic woes and prevent the city from being projected to have monstrous traffic congestions. Another intervention crafted by the local government to improve the traffic congestions in the city’s barangays is the implementation of the Anti-Road Obstruction Order that deputized barangay officials to remove the obstruction along roads, particularly the illegally parked motor vehicles but it seems that most of the barangay officials do not have the political will to enforce the same for fear that their political career will be compromised.